This is a book in English, including a total of 82 Chinese characters demonstrated in five parts, namely “Nature”, “Animals”, “Human Beings”, “Objects” and “Chinese Style”. Each character is illustrated with its ancient form in oracle bone or other inscriptions, a well-known ancient painting or a sketch designed by the author herself, and is described using an interesting, beautiful English poem. With a broad horizon, the book connects Chinese characters with ancient Chinese literature and culture, which makes it lively and worth reading. It is suitable for foreigners who want to learn about Chinese characters, literature and culture, especially for those who consider Chinese abstruse. 购买“天书”。Buy paperback “It's Chinese to Me" in China. 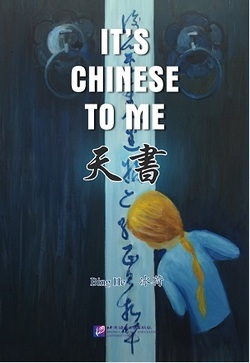 购买电子版“天书”。Buy e-book “It's Chinese to Me"